Is My Dog's Pee Normal? Your dog’s urinary tract is probably not something you think a lot about, until it shows signs of malfunction. 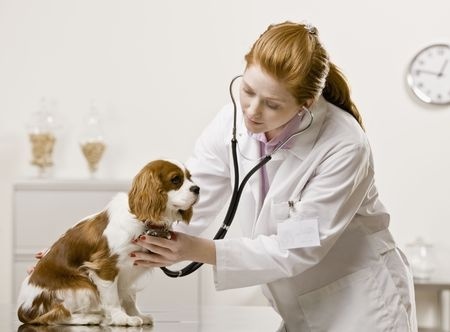 Not only can a change in urinary habits signal a problem with your pup’s kidneys and bladder, his or her urinary tract and its output are a treasure trove of diagnostic information about other bodily systems. Any changes in frequency, amount or color should be reported to your veterinarian immediately, before it becomes a more serious problem. Here are some possible causes of these types of changes. An inability to hold their urine, resulting in accidents around the house, is usually the first-noticed symptom that something is wrong. Unfortunately, it can have a wide variety of causes. It can be due to spinal cord disease, urinary tract infections, hormonal imbalances or simply old age. Or it can be due to increased fluid intake, certain medications or changes to your pet’s environment. Don’t simply blame an accident on bad behavior. Try to determine an underlying cause so it can be effectively treated. If it is primary incontinence with no other associated cause, it can be controlled with medications. One of the first things to rule out is a urinary tract infection. A UTI is a bacterial infection that starts in the urethra and if not treated, can work up the urinary tract to the bladder and even kidneys. A UTI may cause increased urine output, or the opposite—straining to urinate or dribbling. It can cause painful urination and a red, irritated genital area. If the kidneys, whose job is to eliminate toxins, are involved, the condition is more severe, even life-threatening. A few simple lab tests can determine the presence of an infection. Antibiotics and supportive treatment are effective in most cases. If your furry friend is straining or crying in pain when urinating, or there is blood in the urine, it could be a blockage. Bladder and kidney stones can grow large enough to impede the flow of urine. Growths and tumors can also create blockages. When urine is blocked, it is an emergency situation. Sometimes, changes in urinary behaviors are caused indirectly by other conditions. One of the first signs of diabetes is excessive thirst and urine output. It’s important to diagnose diabetes quickly. With early detection and proper management, your dog can live a long, happy life. Cushing’s disease is an endocrine disease caused by an overproduction of cortisol. It also might cause an increase in urination, along with hair loss, increased appetite and extended abdomen. A Cushing’s diagnosis will mean lifelong management of symptoms. It’s not always easy to detect changes in urine and urine output. It’s important to be aware and make note of any increase in frequency or accidents. Also note, if possible, any changes in color or the presence of blood. If you notice anything unusual, give Powell Veterinary Service a call. We can help determine a cause and get him or her on the road to better health.